The primary factor, though not the only factor, that determines the size of an apple tree is the rootstock it is grafted on. For a century or more plant breeders have been breeding size controlling rootstocks. Now it is possible to have the same variety of apple tree in many sizes from very small to full size. The Home Orchard Society has a very extensive list of vigor of apple varieties. 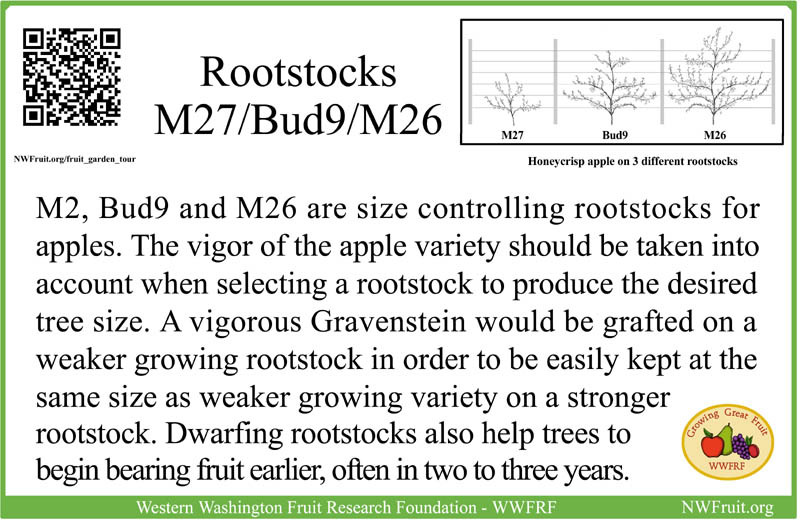 WSU information on apple rootstocks.